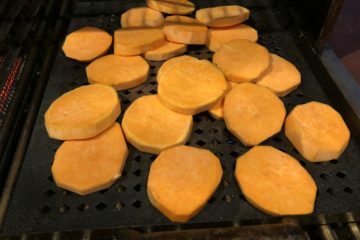 Rob and I both love sweet potatoes. We love them baked, oven roasted & grilled. 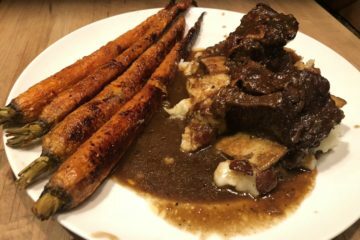 Have made this recipe a few times before and everyone loved them. The only take about 10 Minutes to prepare, and pair especially well with grilled fish or chicken. Great combination – the sweetness of the potato and spiciness of the dressing! 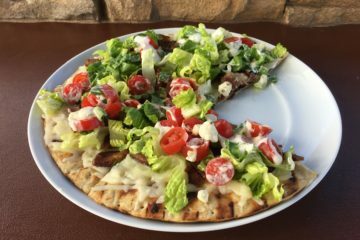 If you’re a pizza lover, this is the best BLT you’ll ever have! 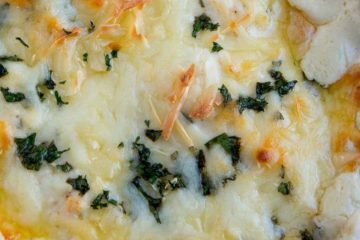 Barb’s incredible Shrimp Scampi Dip is the perfect holiday appetizer! You’ll have smiles and compliments galore! 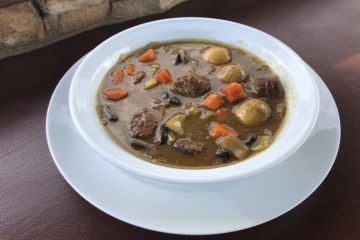 A slow cooker hearty beef stew is about as good as it can get a winter night. It’s easy to prepare and very welcomed come dinner time. 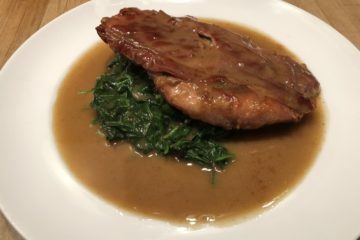 Every time my wife Barb makes this incredibly delicious Saltimbocca wrapped with prosciutto over sauteed spinach laden with garlic my thoughts go back to Dominick’s Italian restaurant the old neighborhood in Rochester, New York. They were wonderful times! Most cranberry relishes are canned and indistinguishable in any holiday setting. It’s only on the table because people think it’s traditional. Well…forget all of that and make room for a real showcase star! 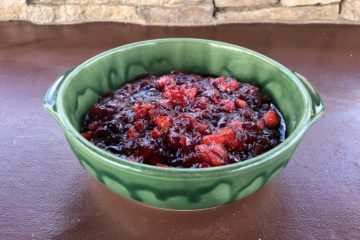 This Apple-Orange Cranberry Relish is INCREDIBLE! This is a Holiday Lifesaver! 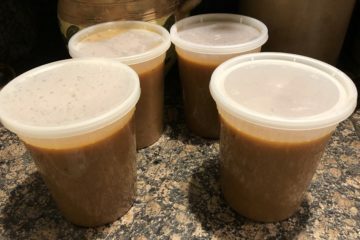 No matter how well you plan your turkey spread it seems there’s never enough gravy. Well, those days are now a thing of the past. As Rob previously mentioned we were at Week’s Fish Market in Bonita Springs & purchased a whole Lane Snapper. 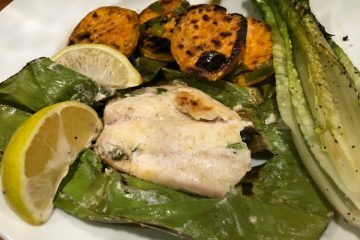 We have a friend, Chef Hector who had previously prepared snapper grilled in banana leaves in our outdoor kitchen. As you know, Rob & I live in Southwest Florida year-round. We have lots of friends down here who are seasonal & don’t do much cooking while on their 6 month “vacation. 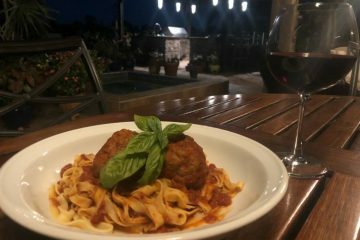 I love to cook, enjoy entertaining friends. Eating dinner out isn’t really my thing especially during season. To crowed, to pricey and reservations only available at 5:00 or 9:00. 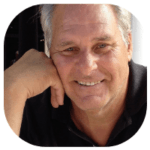 Syndicated TV Show Host, Rob Kircher, wanted to create a new way for Foodies around the world to connect and share their favorite meals and recipes online. Join him and his cooking friends on their food discovery journeys.